As parents one of the most important things we can do is make family memories with our children. After all, memories are what truly last a lifetime and help mold our children into who they will become later in life. But many of us also get the wrong idea; that we need money (and lots of it) to make lasting memories. I am here to tell you that you DON’T! Instead, I am going to tell you How to Make Family Memories On a Budget. I will agree that almost everything costs money these days and that can certainly be discouraging. I am sure we would all want to live in a world where things such as taking our kids to a fun arcade wouldn’t cost us a fortune. The reality is, we can do all the fun things we want to do with our families as long as we have some knowledge on the right way to go about it. Make a “fun jar”. Basically have a jar where everyone can put spare change and money into. It will make doing fun things much easier when it’s saved for from the beginning. Visit on special days. Many amusement parks and attractions have special days where you can save. For example, some have buy 1 get 1 free admission days, kids eat free days, etc. Visit on those days to maximize savings. Use coupons. I like to use coupons for anything and everything including our family fun nights. Even a night out as a family of 4 can break the bank but not if you find the right coupons and utilize those on all your purchases. Head to Chuck E. Cheese’s! 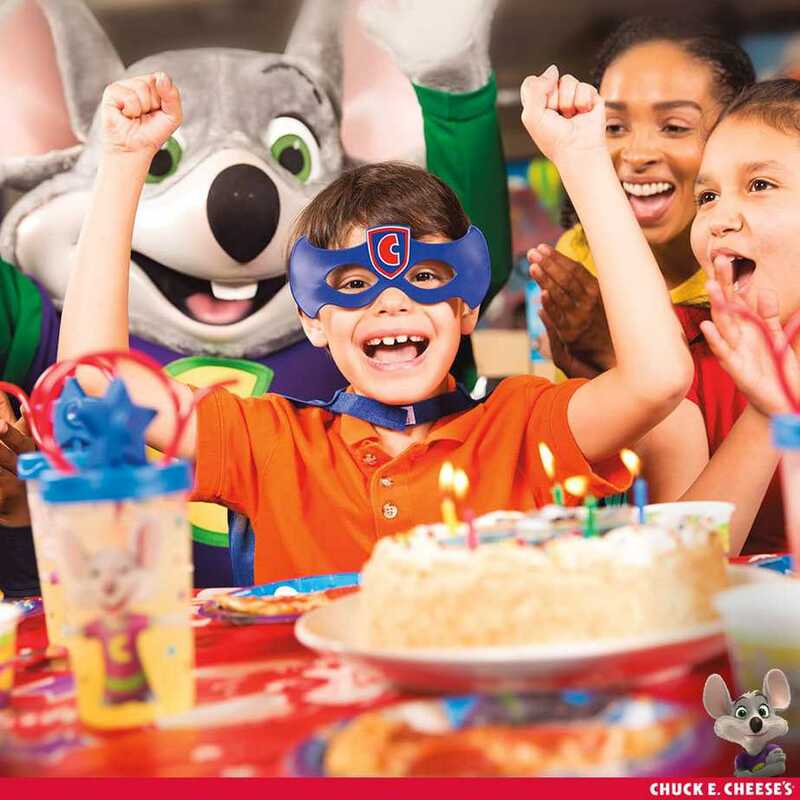 Chuck E. Cheese’s is a place of fun for everyone. They have tons of games to play, rides to get on, and so much fun to be had! Plus it’s completely affordable! 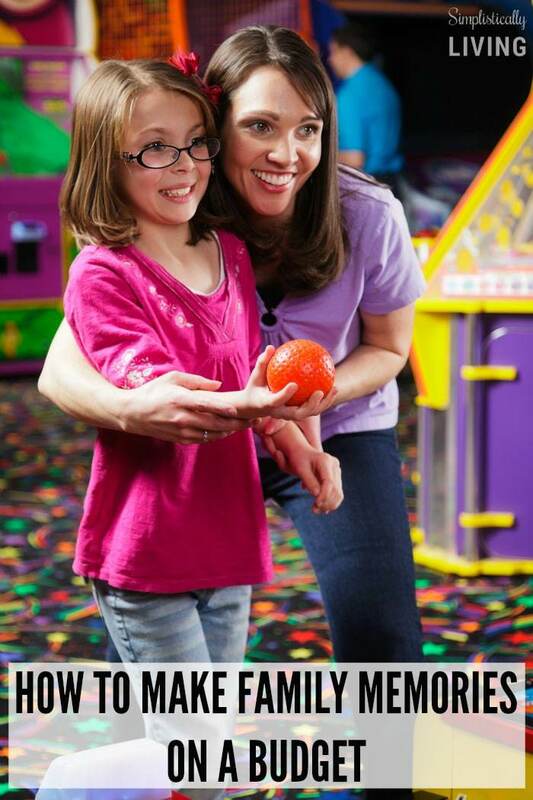 Most games at Chuck E. Cheese’s only cost 1-2 tokens (some cost more) which means your kids can have more fun for less! In addition to all the games and rides, they also have food. A salad bar, delicious pizza, and you have got to try the cinnamon sticks. They are tasty! All of these activities (including food) can be done through the use of coupons! Chuck E. Cheese’s offers coupons and deals right on their website. It’s a great place to celebrate birthday’s, victories (like your child getting good grades), and just a family night of fun making memories together. 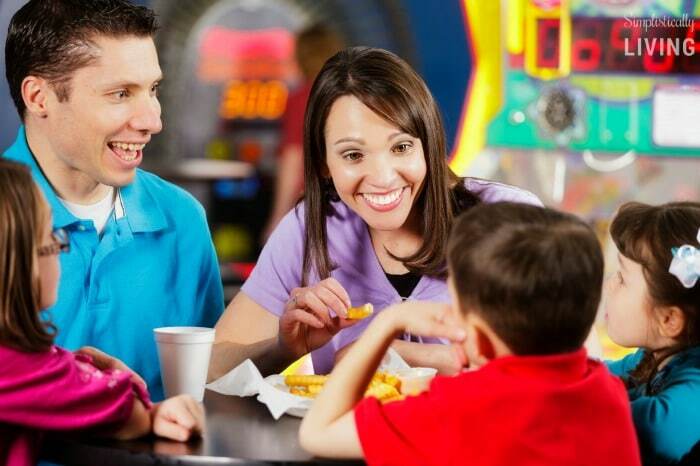 Visit the Chuck E. Cheese’s website to find a location near you and learn more about what they have to offer!